I am sure most foodies and open-minded, when it comes to food, individuals have probably tasted the famous miso soup. Miso is an important seasoning that has been consumed over 1,300 years. Miso is made of three basic ingredients: soybean, salt and malt (koji). 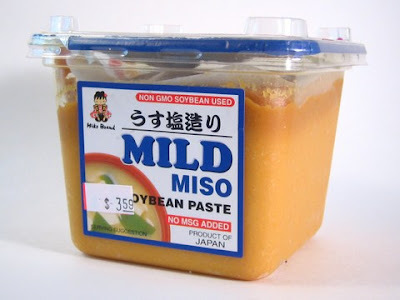 However, there are four varieties of miso, depending on the malt ingredient: Rice, Barley, Bean and Blend. This type has the texture of barley and a tempting aroma. It is recommended for spicing up simple dishes and is great as dipping sauce for pork dishes and salads. This has rich and thick flavors; you only need to add just a small amount to your dish to get the flavors. It pairs well with meat dishes and red wines.